CAN I BUY THIS FROM THE GROCERIES? 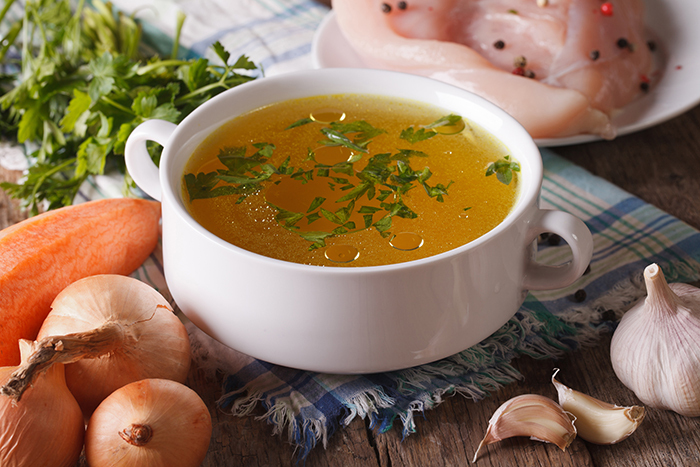 WHAT IS A CHICKEN BOUILLON? WHAT IS A CHICKEN BROTH? Where Can I Get Chicken Base? Well, basically chicken base is defined as a highly concentrated stock that actually has a deeper and richer taste compared to broth and stock. You can find it as a cube or a powder or you can even make your own at home. The chicken base takes a while to make unlike chicken stock but it has a lot more flavor on it so it is actually pretty worth it. Some people consider chicken base as a chicken stock that has been reduced over a couple of hours until the vegetables in the stock completely melt into the liquid. 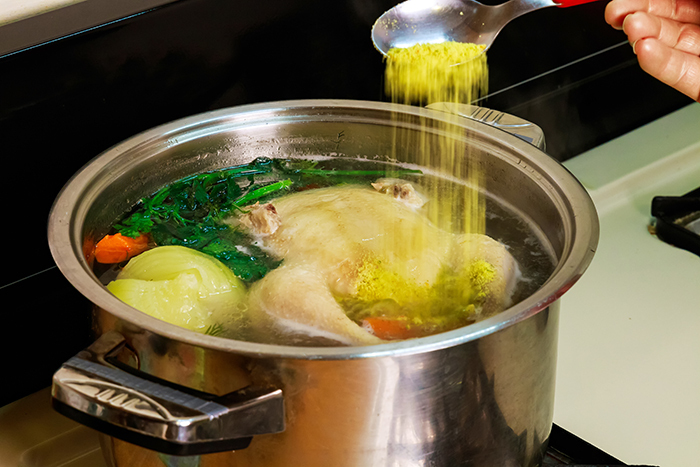 Chicken stock is usually made by simmering various ingredients (including chicken) in water. It is most commonly used in soups and sauces. Chicken bones are mostly used because of the flavor it adds compared to its meat. 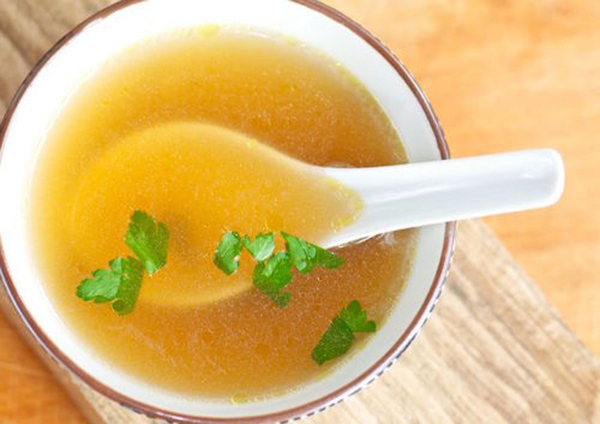 The flavor comes straight from the cartilage and connective tissues in the bones although when you use the bones for the chicken stock, it should take longer for the flavor to come out. 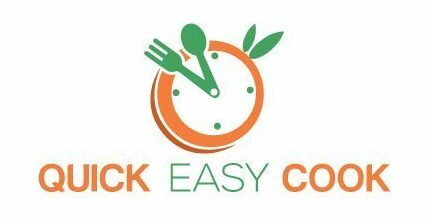 You may use a pressure cooker for this if you don’t have much time or if you don’t like waiting too long. Yes, but making it at home would always be better. 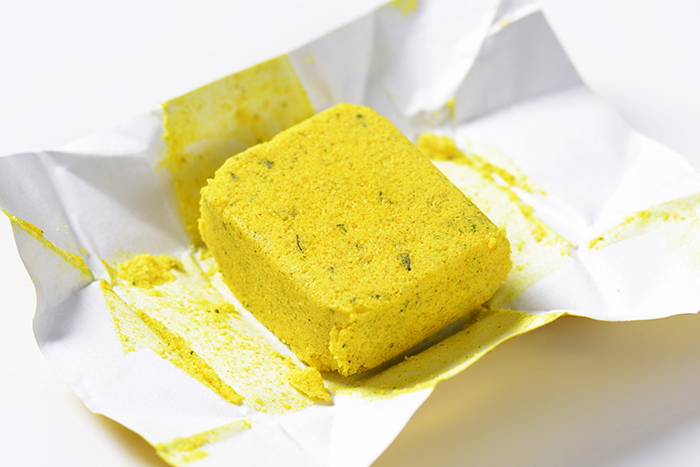 This normally comes in cubes and is commonly used for soups and stews by dissolving it in a boiling liquid. It also comes with beef and pork. Although compared to the first two above it can be rather salty and it messes up with the flavor that is already in the pot. However, you can get the low-sodium ones. Most people say that chicken broth and chicken stock is basically the same thing but they are actually not. We’ll talk about their differences later but for now, let us define what chicken broth is. So basically, chicken broth is a very savory liquid. It is when you boil water with the meat of the chicken or you could also add vegetables with it. It can actually be eaten as it is but it is most commonly used to prepare gravies and other sauces. If you need the chicken base on your dish then you can use chicken stock as an alternative because the chicken base is literally just a chicken stock which is simmered for a long while. Although, a chicken base is more concentrated and it gives extra fragrance and extra flavor into the dish compared to the chicken stock. 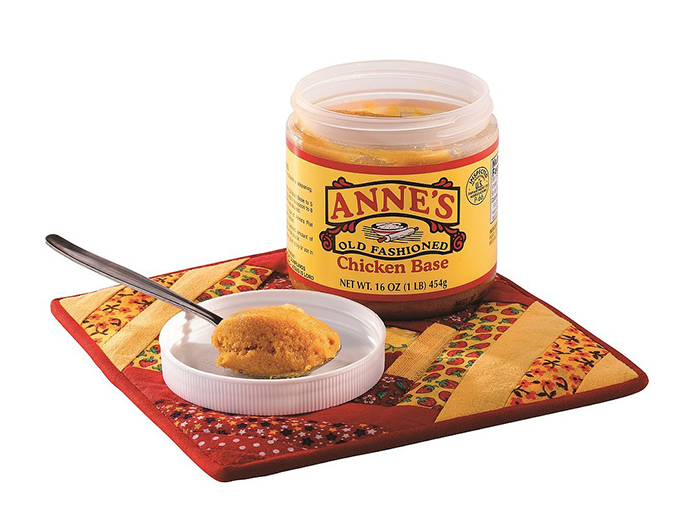 Now this is considered to be the best alternative for a chicken base if you don’t have any. 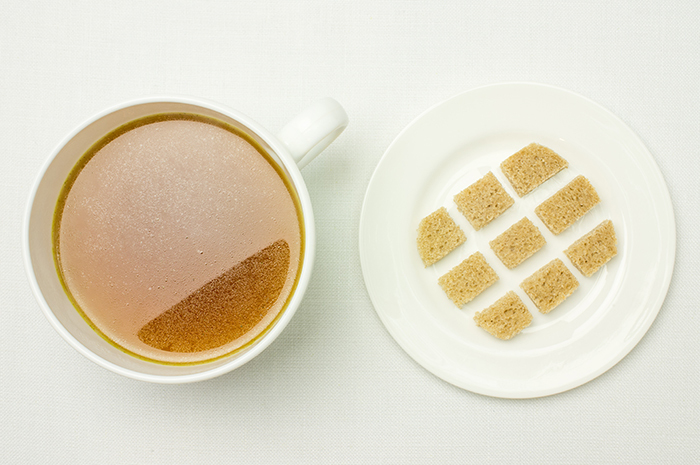 Both are past even if the chicken bouillon is shaped like a cube. This is pretty a pretty simple comparison. If the dish requires a chicken base and you don’t have any, you can still use the chicken broth BUT it will serve as the liquid. You wouldn’t need to add water because it is already liquid and for it to become flavorful since chicken broth doesn’t have much flavor in it compared to the chicken base, you can just add some salt and pepper or any other you would like to add since it is totally up to you. 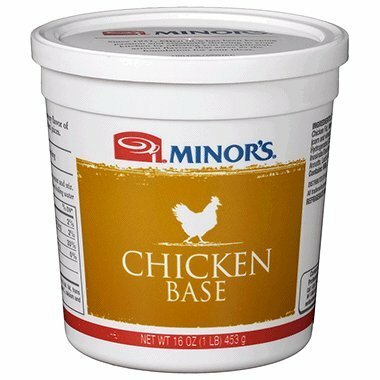 You can simply go to amazon and look for Minor’s Chicken Original Formula which is basically everyone’s all-time favorite chicken base. Because it is ALL NATURAL with No artificial flavoring and ingredients, it has no chemical preservatives which are very safe and healthy for everyone. Begin by washing your hands thoroughly; washing your hands and making sure they are clean is very important since you are going to be dealing with food even if you are not technically using your hand over everything. Better to be safe than sorry. It is pretty simple and very healthy so it is definitely a must try especially if you simply love the organic stuff. You can even put them into ice trays or freezer bags and it will last for about 2-3 months. It doesn’t really matter which of these you use because they are all chicken based but if you have more time then you can make your own if not try the other substitute or you can get it from the groceries.